Editors' Note: Cosmopolitan Philippines previously reported that the tweet came from Sue Ramirez's personal Twitter account, when it was not. We apologize for the oversight. 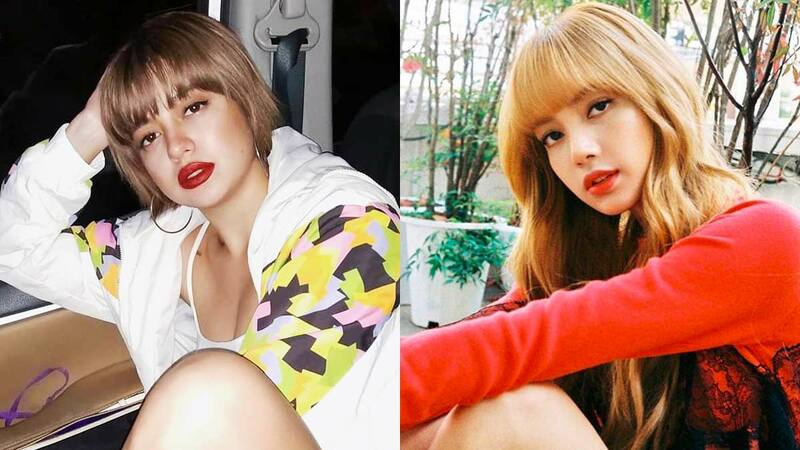 Back in July 2018, we noticed that Sue Ramirez bears a striking resemblance to BLACKPINK member Lisa Manoban. And it seems that fans of the 22-year-old Filipina actress see it too. Last night, Twitter user @sueannadoodles posted two adorable photos of Sue and Lisa and captioned it with "Lisa Manugang." LOL! ...but it's still very much there! Also, they both love cats! Coincidence? Maybeeee. And fans can't get enough of it! One even claimed that Sue had already been to see BLACKPINK in concert, back when she was in Seoul (By the way, Sue will soon star in a Korean-Pinoy movie entitled Sunshine Family)! Guys, WHAT IF Sue and Lisa meet face-to-face during BLACKPINK's first PH concert this February 2? That would be crazy and beautiful and perfect and we're dreaming about that very moment right now.